Local health officials are reporting a spike in the number of drug overdoses. Hamilton County Public Health reports 17 people arrived at hospital emergency rooms, and emergency responders received 21 calls for help from Tuesday morning to Wednesday night. A report from the Hamilton County Heroin Coalition indicates both statistics are higher than the historical average for the dates. The reason for the spike is not yet clear, but the report says changes in the composition of illicit drugs are responsible for past anomalies. Assistant Health Commissioner Craig Davidson says there will be brief increases in the number of overdoses from time to time. "Compared to previous years, our daily average is much lower than it was, but we track this against a moving threshold," he explains. "Relative to recent days we did see a brief spike, but in terms of the larger context, we are down quite a bit." Public Health and the Coalition issued a report Thursday alerting first responders, medical professionals, drug users and their family members of the increased risk. 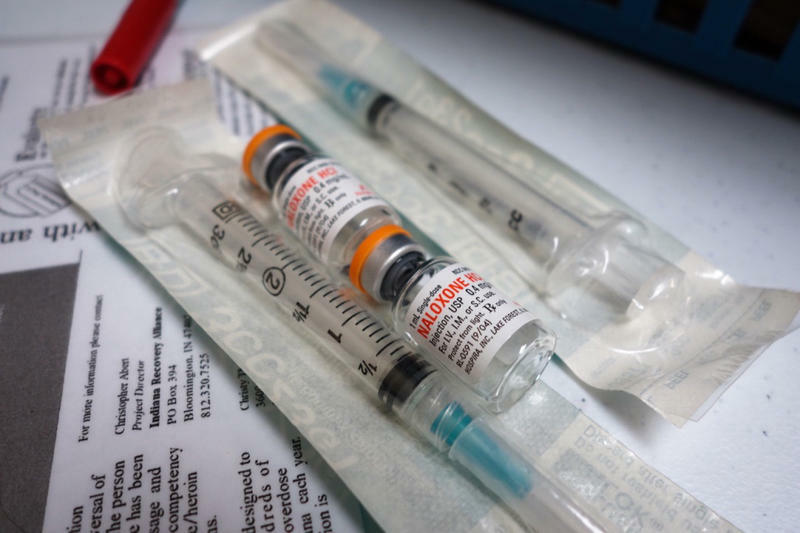 The highest number of reported overdoses happened in Delhi Township, West Price Hill and Westwood, but ODs were not limited to those neighborhoods. Eight investigators from the Centers for Disease Control are in Greater Cincinnati for the next several weeks trying to determine similarities in HIV cases among intravenous drug users on both sides of the Ohio River. It's hoped their findings can help prevent new cases. A few months ago, Kourtnaye Sturgeon helped save someone's life. She was driving in downtown Indianapolis when she saw people gathered around a car on the side of the road. Sturgeon pulled over and a man told her there was nothing she could do: Two men had overdosed on opioids and appeared to be dead. "I kind of recall saying, 'No man, I've got Narcan,' " she says, referring to the brand- name version of the opioid overdose antidote, naloxone. "Which sounds so silly, but I'm pretty sure that's what came out." Last month, Kroger made Naloxone, a heroin-overdose reversal medication, available without a prescription in the Tri-state. The drug works within minutes and it is believed will save many lives. Ohio and Kentucky rank in the top five for highest overdose death rate, according to the Centers for Disease Control; heroin and prescription pain relievers like fentanyl are responsible for a majority of those deaths. The Hamilton County Justice Center has several programs designed to help inmates with different issues. Several veterans are kept together because they can identify with each other's needs. Inmates who are about to be released are housed together as they receive counseling designed to prepare them to re-enter the world at large. The Justice Center also has a section devoted to inmates with addiction issues. That program is going to be expanded.